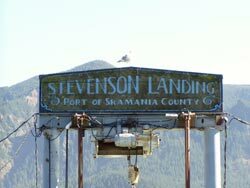 The Port of Skamania County owns several properties in the city of Stevenson, to include our main office building. Stevenson is a beautiful city and we are proud not only of our buildings, but also our incredible waterfront parks. You can find more information by checking out the “Our Parks” from the pull down menu. Below, you can learn a little more about our buildings and docks in Stevenson. Located on Cascade Avenue along the Stevenson waterfront, the Tichenor Building is a 29,000 square foot 2 story building featuring light industrial suites on the bottom floor and office suites on the top floor. This set up provides a lot of flexibility for our tenants and allows for creative uses of the space. 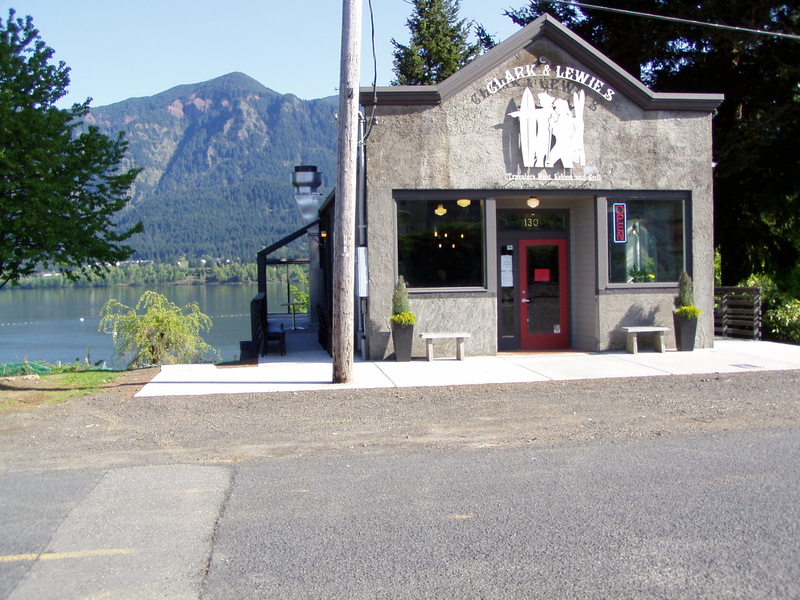 With plenty of parking and an incredible view of the Columbia River Gorge, this location has a lot to offer to tenants who want to be close to the main street in Stevenson, but in a quieter venue. If you’re in search of a great space to do office work or hold meetings, suites 60-100 are currently available. Call us to arrange a time to view the property! You’ll join great businesses like WAVE Broadband, Phloem Studio, Backwoods Brewing, Skamania Acupuncture & Yoga Studio, and Skunk Brothers Distillery! 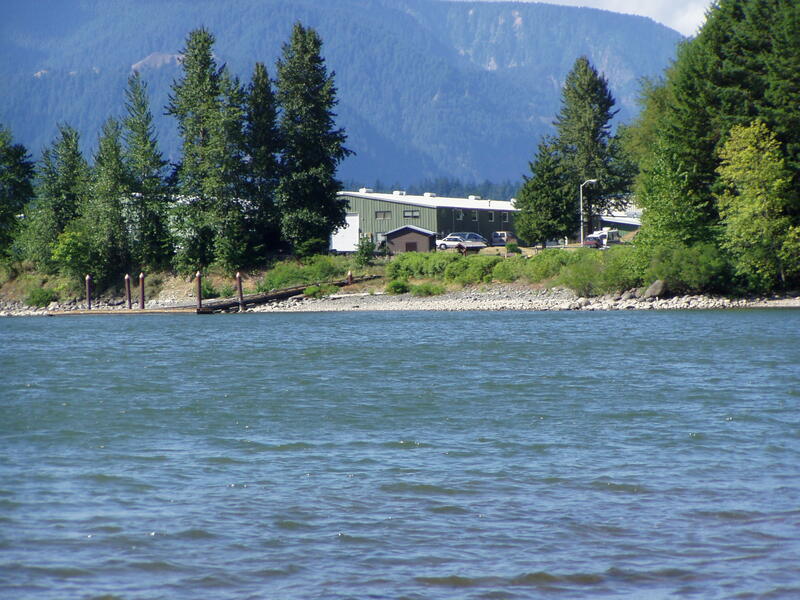 Located on the spectacular Columbia River waterfront, this 10 acres offers a unique opportunity for commercial, recreational and mixed-use development. Just 35 miles to Portland International Airport, 45 miles to Portland, 4 miles to I-84, 44 miles to Vancouver, this property has City sewer and water, cable TV, 3-phase power (PUD), gas, telephone plus fiber optic, wireless and DSL broadband. Skamania County offers the best of both worlds: rural lifestyle in a National Scenic Area with immediate proximity to the labor force and services of the Portland/Vancouver metro area. The Port offers tremendous business opportunities with affordable lease rates, big savings on labor costs and utilities, tax advantages and market access while maintaining a rural environment and small town feel. 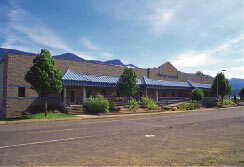 The Riverpoint Building is a 48,000 square foot industrial building located on the Columbia River Waterfront. It is the current home to great local businesses like SilverStar Industries and LDB Beverages. With ample parking and proximity to the river, kite boarders and wind surfers can regularly be viewed from this area, and the location is frequented by local water sports enthusiasts! The Old Saloon property was named with history in mind. The building once served as a saloon back when Cascade Avenue was known as “Whiskey Row” and the street featured many saloons and was the social center of the town. Now, the Old Saloon is the home of Clark & Lewie’s Restaurant which serves as the only waterfront restaurant in Stevenson. Stop in for great food and incredible views! The Landing is a 200 foot long, 15 foot wide concrete pier primarily used for cruise ship dockings. Located on the Columbia River at mile 150 in the heart of the Columbia River Gorge National Scenic Area, the pier offers anyone who stands on it incredible views up and down the Columbia River. Have your camera ready! If you would like more information about what may be available to lease from the Port in Stevenson, we invite you to check out the “Properties for Lease” option from the drop down menu. Contact us with any questions!